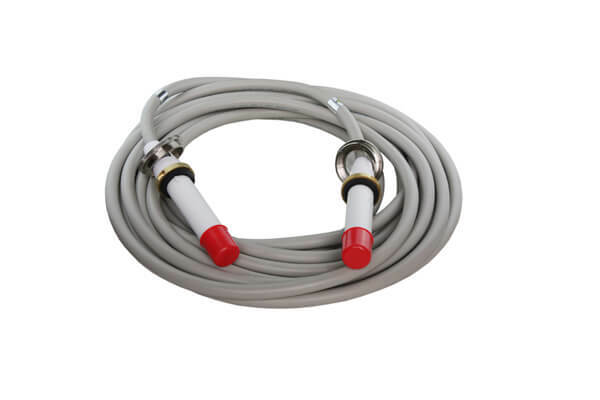 High tension cable 10mt is a device connected with high voltage generator and X ray tube, which is mainly used to transmit the high voltage of both Yin and Yang of X ray tube and heating voltage of filament. High tension cable 10mt is divided into two types: coaxial high-voltage cable and non-coaxial high-voltage cable. The structure of coaxial high-voltage cable is divided into conductive core wire, high tension insulation layer, semiconductor layer, metal shield layer and protective layer from inside to outside. Cathode cable has three – core and two – core two – core two – core two – focus and single – focus X – ray tube respectively. High tension plugs are installed at both ends of the high tension cable 10mt, respectively connected with the high pressure generator and X ray tube. The application of X – ray in medicine has three aspects, namely X – ray diagnosis, X – ray treatment and X – ray protection. The X-ray machine high pressure component consists of ball tube, high pressure generator and high tension cable 10mt. The Newheek high tension cable 10mt is divided into 75KV and 90KV. The length can be arbitrarily selected. Newheek high tension cable 10mt to meet your needs.